Harley is a gorgeous, 75 lb yellow female. She is a sweet girl. She loves to hunt geese and is an excellent marker! 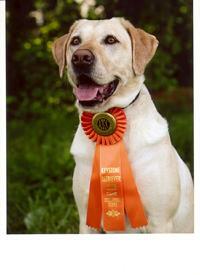 Harley received her junior hunt title in May, 2008 and Senior Title in August, 2008. 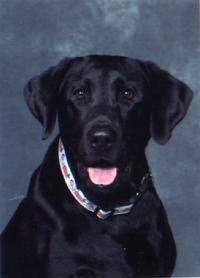 Rumble is a handsome, 85 lb black male that throws yellow. He is an excellent marker, easy to train and has a wonderful personality. He is an AKC Master Hunter. Dew claws were removed, pups were wormed at 3, 5 & 7 weeks of age, and 6 week vaccinations were administered by our vet.